1. Your last thought at night is - How will I have my coffee tomorrow morning? 2. You can pick the subtleties of an Ethiopian Yirgacheffe when compared to an Ethiopian Gambella. 3. You polish your coffee machine more often that you polish your car. 4.If you had to give up either chocolate or coffee for life, you would say "goodbye" to the bars. 5. You have read "God in a Cup." Someone told me I'm being too tough here. What are your thoughts? Fair call or not? I'm very open to suggestions for changes. Actually I think it all sounds pretty reasonable to me - you could possibly add,. "You have numerous coffee preparation methods and techniques at your disposal"
I for one own two expresso machines, five cold drip towers, one syphon, an Atomic stove top, numerous pour over devices, five hand grinders, and a plunger, to name but a few !" Regarding point 1, I don't actually have a last thought at night about my morning coffee because I'm up all night thinking about it due to being over caffeinated . I've polished my new splendor twice this week already and counting. I've polished my 2 year old car exactly....0 times since purchase. Your list seems on point Paul. Great point. I'll add some words on that for sure. Great list and I certainly tick all your boxes. I agree with Pat's addition and will add: an aficionado desires running multiple grinders for multiple beans/blends the pinnacle being both flat and conical burrs to cater for different flavour profiles. How's that for pedantry AND..... it's awesome! So is this specific to espresso Paul? Your thread title states so, but your list title doesn't. I think that has a huge bearing on weather the list is a good one or not. I'll await your clarification before I comment. Hi Leroy - yes, this is specific to espresso. It comes in at my buyer's guide in the DB & PP discussion. Quote "For most a DB or PP machine is overkill. You just don't need to go this far for a great coffee. However, these do have a place for experienced espresso aficionado. To be an aficionado you need to tick off 4 of these 5 criteria....."
....so yes, if you add milk I don't see the value in a DB or PP machine. However, long black or even macchiato drinkers could benefit from a DB or PP machine so I'll have to think of a way to fit this in. You are definitely out - what are you even doing posting on this forum? Being sent on my way! 2. You can pick your Kenyans from your Colombians. (Still not easy for some people, but doable. I think Yirgacheffe from Gambella is a bit of a stretch for anything other than real pros). 5. You have read 'God in a Cup', 'Espresso Extraction: Measurement and Mastery', OR 'ESPRESSO COFFEE: Professional Techniques'. The change to Colombian and Kenyan is definitely a good one. ACG, yes, agreed re roasting as well. I'm actually reading a very well written book at the moment called The Curious Barista's Guide to Coffee. It's by Tristan Stephenson and I'd never heard of him or the book until I saw it for sale for $5 at a local book store. It's only a year or two old so is very current. I'd highly recommend it for people that want a slightly softer entry to coffee reading material than that provided by the books mentioned above. Depends upon your car and whether or not it's kept out of the elements. The point of polishing a car is to enjoy the result and in this modern day with many people forced to park outside, it's a short-term level of enjoyment so many people don't even bother, or they know they are just going to get bored with their car and flip it in a few years (like their coffee machine). I've got some of the best coffee machines but I don't polish them anywhere near as often as my cars. 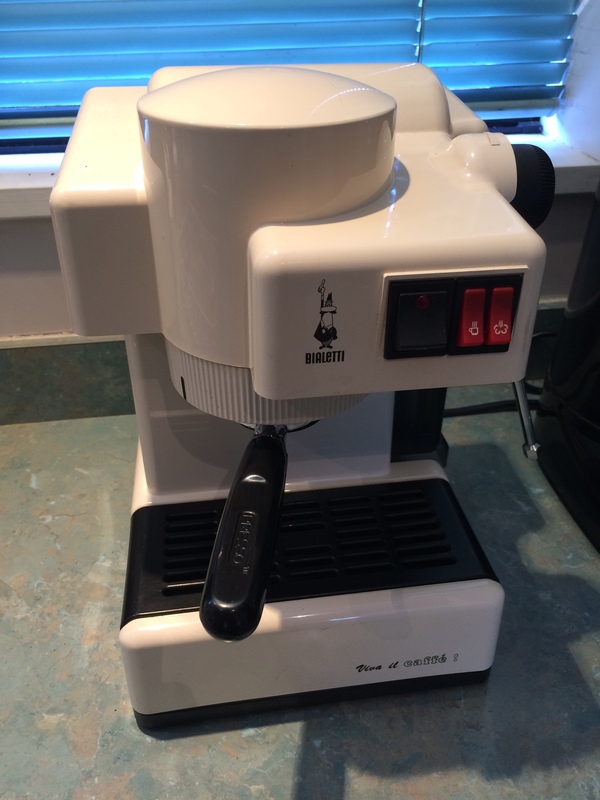 Maybe I don't love my coffee machines but I certainly love espresso. Personally, I think being in love with your coffee machine or your car is symptomatic of other **idiosyncrasies** like inadequacy. It's a love that is temporary at best and subject to change in the next wave of anxiety that triggers another round of upgraditis. Rule of thumb is 1/3 beans, 1/3 gear, 1/3 operator. Sorry Brett and KB......old age amplifies cynicism. 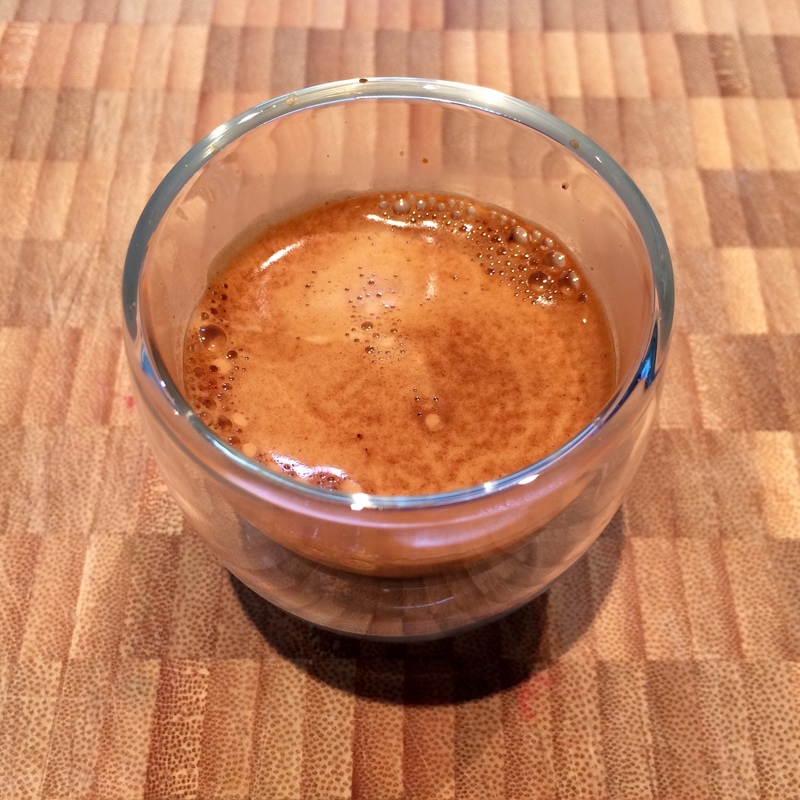 The key to appreciation of espresso is not believing you must have the right gear but the many AHA moments in the long journey of honing technique and more importantly targeting the right beans. The best gear with a perfect technique cannot salvage espresso prepared from beans that were not roasted or blended for that extraction method. Square peg being jammed into a round hole. Hazard a guess that 90 % of roasted coffee in Australia is not suitable for espresso .....so where does that leave the poor aficionados...holding onto the thin line that advancements in gear will ultimately compensate for huge variability of ingredients ? There is a simple and profound epiphany when you experience a classic and rewarding espresso from unsophisticated equipment and sloppy technique and it's a reason a visit to Italy should feature prominently on said list as should the admission that a true espresso aficionado learns something new everyday about espresso. There he is... saved from being voted off the island with a cracking post and two must-adds to the list! Bravissimo! And that's why I've kept it as my current home machine. Between this, my Little Guy and various soft brew appliances I have all I need. It's a great little steamer as well so my once daily milk drink is always good. So I totally agree with your sentiments MC.